Germany - IOM today announced that it will establish a Global Migration Data Portal with financial backing from Germany. The portal will be housed at IOM’s Global Migration Data Analysis Centre (GMDAC) in Berlin and will be instrumental in promoting collaboration between IOM and other agencies to provide reliable and accessible data, as well as analysis on the movement of migrants and refugees. “Too often data on migration are scattered between various institutions and countries. By bringing together data from a variety of sources, the portal will provide policy-makers with a unique global platform to access information about migratory trends,” he added. 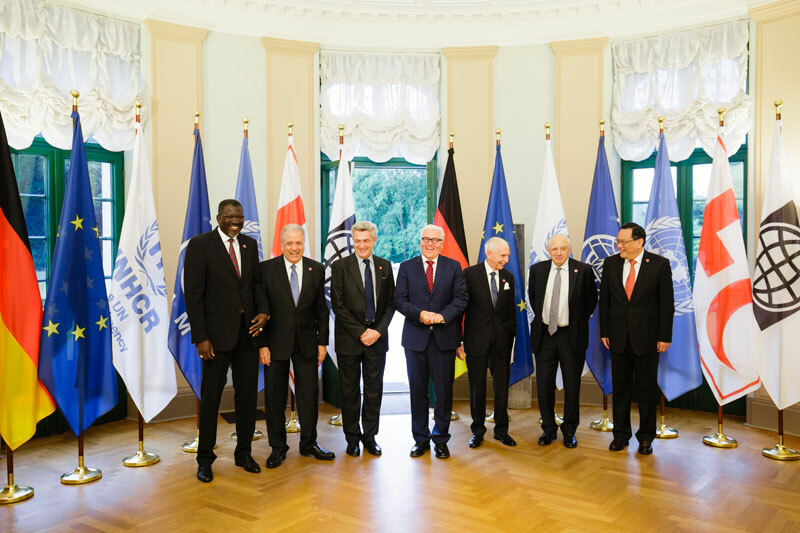 The announcement came following the second Berlin Roundtable on Refugees and Migration, at which the German Foreign Minister met with the heads of international organizations working in the area of migration. The first Roundtable was held in November 2015. The Roundtable was also attended by UN High Commissioner for Refugees Filippo Grandi, Special Representative of the UN Secretary-General for International Migration Peter Sutherland, Secretary General of the International Federation of Red Cross and Red Crescent Societies Elhadj As Sy, European Commissioner for Migration, Home Affairs and Citizenship Dimitris Avramopoulos, and World Bank Group Chief Administrative Officer Shaolin Yang.